Muttley Crew Rescue is an extremely small, dedicated group of volunteers whose mission is to help homeless animals. We operate solely on the income of the main dog-feeder (Mimi) and the donations and volunteer efforts of wonderful people like you. Many of the dogs are rescued from the local animal shelter, some are intercepted before they go to the shelter, and some are from shelters out of the area. We have a great volunteer group that helps with adoption events on the first Saturday of every month at Petsmart in Texarkana, Texas. Most dogs have some obedience training and some are housetrained. All of the dogs are spayed or neutered and up to date on vaccinations. The benefits of adopting from a rescue is that the animals have had more one-on-one care and their temperment/habits are better known. 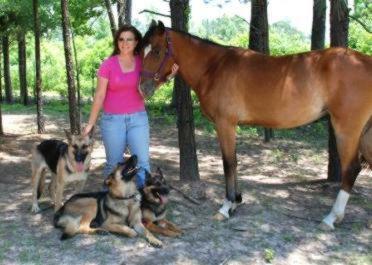 I mainly rescue German Shepherds but have also rescued different breeds from a Chihuahua to a Rottweiler mix. 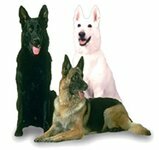 Our mission at Muttley Crew Rescue is to assist homeless german shepherd dogs and other animals in need by taking in those who face death or an uncertain future in animal shelters. We care for them in our volunteers' homes, providing stability, sustenance and security until a permanent adoptive home can be found; A home where they will be treasured and welcomed as part of the family. Our adoption process begins when you complete an adoption application. 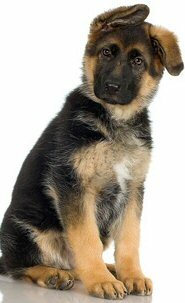 We then check your personal and veterinarian references, & conduct a home visit. You may apply online or if you prefer, you can email us to be sent an adoption application. ALL ADOPTERS MUST BE AT LEAST 21 YEARS OLD. your family takes place as smoothly as possible. Each happy adoption makes it possible for us to rescue another wonderful homeless dog who may otherwise face the end of its life alone and unloved in a shelter, or worse - dead by the side of the road. MCR Needs Foster Homes We need loving Foster Homes in order to expand our organization and save more animals at risk of euthanasia in overcrowded shelters and those homeless animals that have just been dumped to fend for themselves. If you have the love to spare, we need you! If You Would Like To Help but are unable to adopt or foster a dog at this time, there are many other volunteer opportunities available. You can also sponsor any of the animals listed to help pay for their veterinary expenses, food, etc. Please Email Us for more information. You can help at our monthly adoption events. You can donate Tractor Supply Gift Cards. We purchase dog food at Tractor Supply Company in Texarkana. You can purchase gift cards, mark them MCR & leave them there for us or mail them to us--no need to carry large bags of food. You can donate Murphy Gas or Wal-mart Gift Cards. We purchase our gas at Murphy's (Wal-mart) and use gift cards to save 3 cents per gallon on fuel expenses. You can donate much needed funds by using the the paypal link at the bottom of this webpage. Come meet the dogs or just come to help out! about dogs & cats that need new homes. (YES sometimes horses, birds, goats & others too!) The plan is to prevent the animals from going to shelters. You can join that crew by emailing Mimi at mcrgsd@yahoo.com. -Double ply Top Paw collars with buckle, 18" and 20"
Thank You to all that have helped support Muttley Crew Rescue and the volunteers that spend many hours with us each month. We could not do it without you! 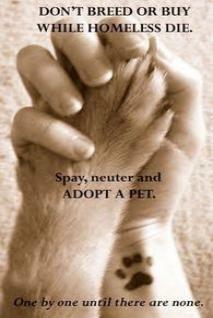 Please Email Us for more information about adopting, fostering, donating or volunteering! Serving Texarkana and surrounding areas. Visit Our Other website too! Please send your website feedback to our webmaster.